Kevin C from the executive office shows us his favorite picks from Soy Logic (Kiosk G8) at the Holiday Shops at Bank of America Winter Village at Bryant Park. It’s not always easy to de-stress in NYC. Luckily, our friends at Soy Logic have some homespun remedies in the form of aromatherapy. 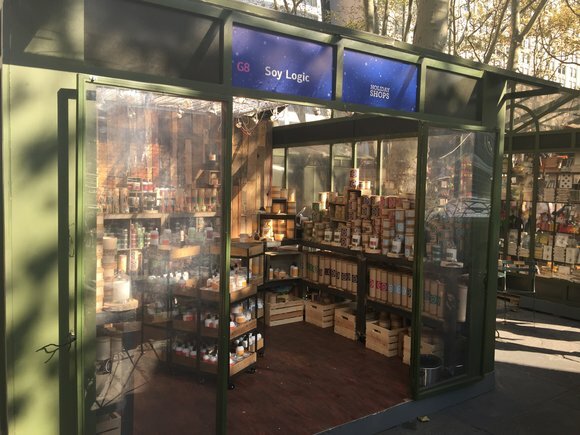 Located just north of The Rink in the center of the park, Soy Logic has a variety of aromatic products intended to assist in mood elevation and relaxation. 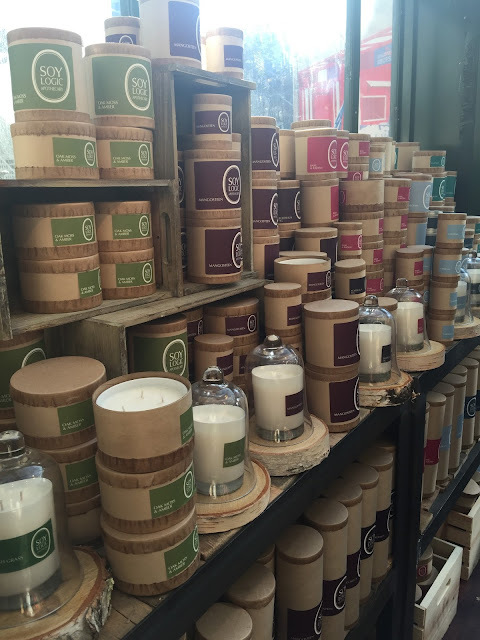 The candles are hand made and hand poured in Framingham, MA, and are 100% organic and made from 100% soy. 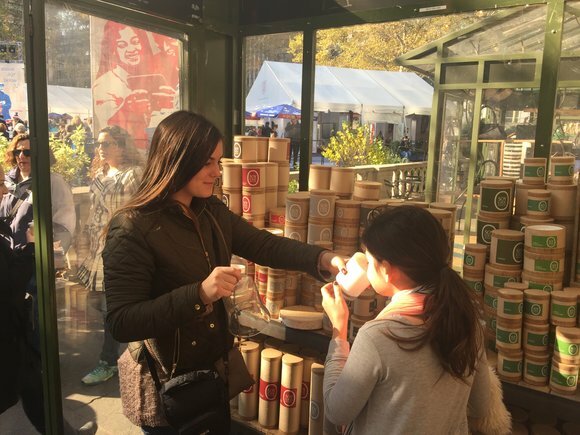 The collection has been exclusively crafted and curated just for Bryant Park. If you’re walking on 42nd Street and suddenly whiff a scent of Pomegranate Sage, you’ll know you’re near. Soy Logic has a crock-pot of scent burning at all times and has samples laid out of five of their most popular scented body products, including lotions and body scrubs. Some of the shop's best sellers are Oak Moss & Amber and Mangosteen. 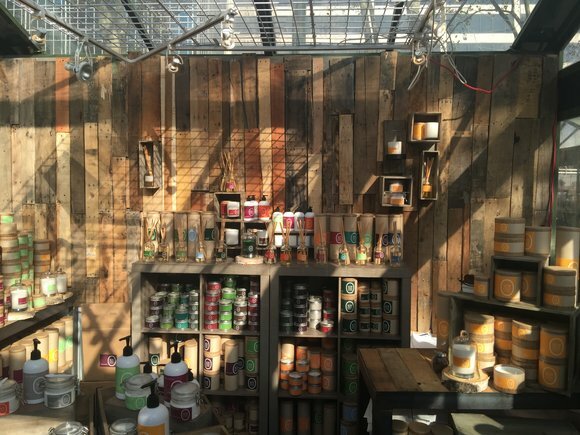 The shop itself is a refuge from the bustle of the streets; the walls are lined with distressed wood planks, salvaged from the very shipping pallets that delivered the candles. Because of the essential oils used in the candles and diffusers, the products tend to last a lot longer than traditional scents. The candles have a burn time of between 20-60 hours while the diffusers keep on spreading olfactory goodness for up to 6 months. Be sure to stop in and grab their exclusive holiday scent: Winter Forest!